You can incorporate these fall colors into your wardrobe little by little, or go full on wearing autumnal hues head to toe. Need some ideas? 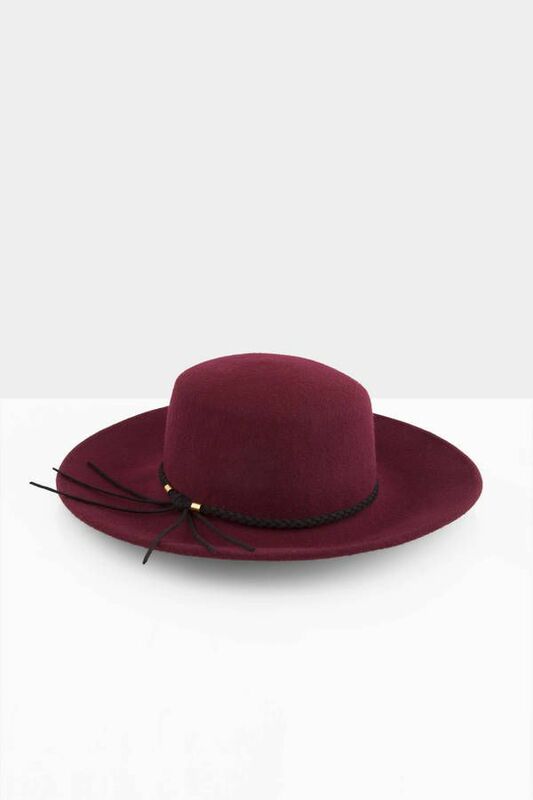 This My Soul Wine Panama Hat from Tobi is a great way to incorporate fall color into your wardrobe. Learn how to wear a stylish fall hat and mix it up a bit. You can try a wine, tan, or dark brown color to keep things simple. Want to really go for it? Try something in a dark green or navy. Keep your head warm while wowing the crowd at a fall festival or concert. Hats are an easy way to stay stylish, warm, and chic during outdoor activities — especially during fall! For your cheeks, this Second Skin Cheek Colour in Spiced Cider is warm and a little shimmery. Dark, bold and luxe colors are oh-so-fall in this Exotics Redefined Eye Colour Collection. Lips are begging for fall colors like those found in this Lip Lust Collection. A trio to try! Want something more subtle? This Paint Wash Liquid Lip Color in Rosewood is sultry without being too over the top. Easy to wear on any fall day! Fall is a tricky season. As the weather changes from day to day, it's best to keep a scarf handy to cover up or take off as needed. Try this Square Plaid Scarf from Madewell, which is big enough to double as a wrap. Or it can be worn wrapped around the neck, and tucked into a leather jacket or velvet blazer. And, it can even be used as a blanket or throw on a hayride to keep you and your loved ones warm. Plus, the warm plaid colors can easily be worn over a pair a jeans and a shirt, or a chocolate colored sweater dress. Tip: this scarf looks great while eating some chili and cheering on your favorite local football team! Don't limit your fall colors to those of the falling leaves! There are so many other options when it comes to a classic autumn color. Try a dark and stormy color like deep teal or dark blue. This Willow & Clay Lana Blouse is a beautiful option, especially for those who like a cooler fall tone. Not to mention, the 70s vibe is all the rage this season. Blouses are an easy first step toward fall colors. Simple black pants or blue jeans you can wear all fall with the right blouse or top! A fall jacket is a must! Cover up for those chilly nights without breaking a sweat in a lightweight cotton or canvas jacket in a deep wine or tan color. Or try a suede jacket in a deep blue or dark green. Don't want to go with long sleeves? Try a vest! Puffy and quilted vests are a great way to keep your core warm and your arms free. Or, try something more flowing like this Bardot Long Striped Vest from Francesca's. It mixes several fall colors, plus a rich texture. Let it drape down your outfit for a flash of fall with every step you take. So cozy and easy to throw on over a basic outfit for a touch of fall. Bodysuits are great for wearing both day or night, since they can be dressed up or dressed down. And as the temperatures fall, they're a beautiful way to wear the best colors of the season. Wear this Hanro Naemi Long Sleeve Bodysuit in dark green, tucked into black pants with a chic blazer or lightweight jacket. Or, you can wear it to the office with a pencil skirt and heels. It's beautiful and long sleeved for those chilly commutes, and will stay tucked in for sleek, fall look. If green isn't your thing, try a lace bodysuit in cranberry or a turtleneck bodysuit in dark charcoal color. The options are endless. Want a way to wear fall colors without having to show it all? Try some lingerie, bra, or underwear! You can embrace the colorful trends without having to break a uniform code, or your favorite all-black look. Just like many fashion and clothing brands, bra companies follow seasonal trends, too. The gorgeous port color of this Blush Harlow Bralette is so pretty, you may just want to show it off. In fact, try wearing it under an open knit sweater, or peeking from a low plunge dress. Look for bras and bralettes in colors like wine, midnight or navy, dark gray, or even brown! The end of fall brings golden sunsets, golden leaves, and a golden opportunity to wear beautiful gloves. Keep your hands warm with this cozy Megan Gloves by Hestra from Zappos. Plus, the warm orange hue will keep you in style during autumn. Want another way to keep your hands in fashion for fall? Try a trendy fall nail color during your next manicure, like a dark plum or deep green hue. Or, go bold on your toes with a warm orange or golden yellow. Have some fall fun! While jeans and black pants are the go-to for many seasons, fall is a great time to stretch your color comfort zone. On your next shopping trip, look for fall-colored jeans, dark tan khaki pants, or colorful olive woven slacks. Want something more casual? This pair of Felina Victoria Jogger Pants is great for weekend trips to the apple orchard, or sipping on your pumpkin spice latte with your girlfriends at brunch. You can also find leggings in warm fall hues, too. Want to try something truly on trend for this season? Try a wine-colored pair of velvet leggings, or high-waisted paper bag waist trousers in camel. 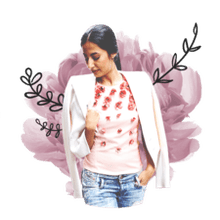 You'll be the most stylish fall fashionista! Show off your fall colors with stripes! It's an easy way to wear several colors from the fall palette. This LOFT Striped Wrap Skirt combines some of the best fall colors all in one seasonal garment. Pair this skirt with a turtleneck top, basic opaque tights, and classic tall boots for a true fall outfit. Add in a hat and fall jacket and you're ready for a day date to a hay maze or the movies. Or, pop on a classic like Hocus Pocus or Practical Magic to truly get in the fall spirit. Getting dressed up this season? Try a lace dress in a fall hue, or a velvet gown in an autumn color. For example, this Merlot Red Lace O-Ring Babydoll Dress from Torrid is super stylish, and super in season. Pair it with tights and tall boots for a bit of warmth. And add in some warm-toned jewelry, like a rose gold necklace or a garnet bracelet for a little pizzaz. Want other dressy options? Try a long sleeve sweater dress in a dark purple, or a romper in navy. Either can be glammed up for a fall wedding, or a special date night with the right accessories. Or keep it simple with a jean jacket and brown booties. It's up to you! Tights are a fun and fashionable way to dress up your legs, and fall is prime tights season. You can always go with a classic opaque pair in burgundy or navy. Or, try a soft cashmere or knit in a dark brown or gray. Want to really kick things up a notch? These Argyle Sweater Tights from Hue are Thanksgiving party ready! The argyle print mixes several fall colors and a thicker material for the cooler temps. Wear them with a skirt or dress, or even a short romper with long sleeves. Keep your legs warm and stylish at the same time. Sandal season is officially over. So embrace the fall temperatures and fashion with some cozy socks! Want a way to bring in fall colors to your feet? Try a pair like these Falke Country Socks, which mix an autumn print in several seasons hues. Coordinate your socks with your fall-colored pants or shoes. Or, wear a pair that shows over some short booties. Stylish socks are a simple way to add a dash of color (and a layer of warmth) to your outfit! Before the snow hits, fall is the time to show off the best boots and fashion forward sneakers. It's especially suited for suede materials, or low ankle shoes in gorgeous autumn hues. If you crave something comfortable and stylish, try this pair of Leta Slip On Sneaker by Dr. Scholls for Athleta for your strolls through the pumpkin patch. The snazzy wine color is always a fall favorite!